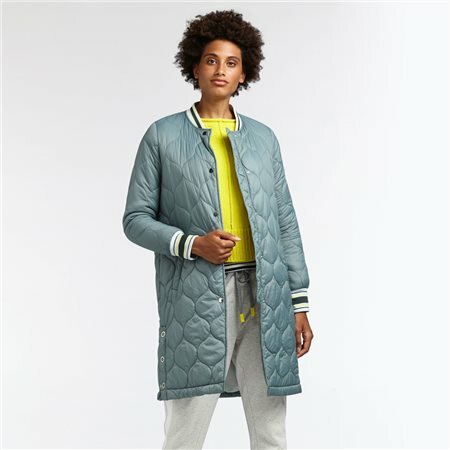 Sandwich has created this beautiful quilted coat with a collarless neckline containing a striped design and a splash of colour also found along the cuffs. This coat has two small splits on each side with the option to button as well as a full button closure. This is a long length coat with a circular print throughout and finished with two open pockets on each side.